Industry charity Hospitality Action is proud to announce the latest instalment of its annual Big Fat Quiz. 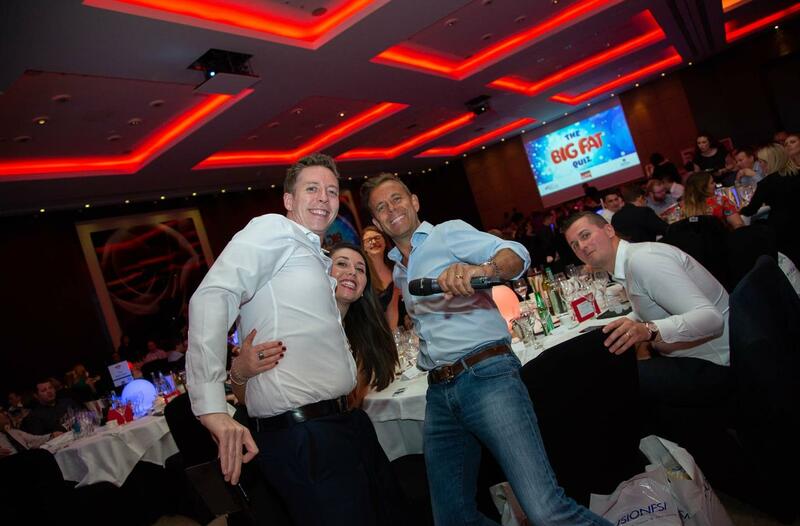 Hosted by 90’s icon Pat Sharp, over 500 brainboxes will compete for the 2019 title on Monday 20th May at the London Hilton on Park Lane. Guests will need their wits about them as they answer questions from categories including music, sport and entertainment making this the perfect opportunity to show off their general knowledge. All attendees will be treated to a drinks reception, delicious three course meal with wine and goody bag. There will also be a live auction hosted by Brian Turner CBE with many exclusive items up for grabs. This challenging evening out, which raised a staggering £85,000 last year, will be the perfect evening to network, entertain colleagues or treat your team and the funds raised will go towards helping those most in need across the hospitality industry. If you think you have what it takes to be named quiz champion, or just fancy an evening of great food, networking and entertainment, email [email protected], visit www.hospitalityaction.org.uk/events or simply call 020 3004 5504. Tickets are £140 each or £1,300 for a table of 10.